1. You are known for your hollow forms, twists and spirals - how did you get into these? My spiral work started out with my interest in engineering concepts and perspectives; Dennis White influenced me. 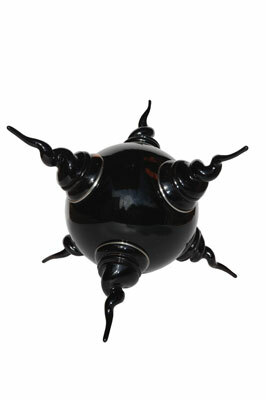 Hollow forms allow me to experiment and speculate with pure form by adding the twisted finial to complete the shape. I felt satisfied and more comfortable with the enclosed form. 2. If you could invite anyone in the world to an afternoon of turning with you, who would it be, and why? Prince Charles as he has an appreciation of the arts, nature and everything natural; he also owns a few pieces by Nick Agar, so I know he has an interest in turning. I would see him so involved in turning that afterwards he would want to take it up as a serious hobby. 3. What piece are you currently working on? At present I am playing around with turning hollow forms and carving on them; it is a bit of an experiment. I am also trying out new shapes, in particular, a walnut hollow form with two walnut trees carved onto the side to match the wood of the tree. I am hoping to extend this to working with fruit trees as well. 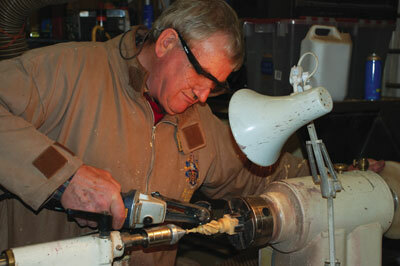 When I am woodturning I am totally engrossed and it is a great way to express your emotions. It takes the stress out of life. 4. What would you say your pet hate is at the moment? The woodturning versus art debate. There is a stigma in the UK that we are not creating art, and woodturners are not giving themselves the opportunity to do so. I am also frustrated by turners who copy. I have no problem with copying to develop skill levels, but if this is going to be published, give credit where it is due. 5. What current trend in the world of turning do you like? A mixture of different media, i.e. gold, pewter and glass. I like turning that also mixes carving and sculptural work. Also, natural carvings from tree roots and then applying woodturning, although this is dependent on finding the right wood for the purpose. 6. With your turning what regrets do you have, if any? No regrets! I like to be known as a woodturning artist rather than someone who just does twists. Twists for me have served their purpose as a vehicle for experimentation. It is not a matter of regrets, but a simple shortage of time to do everything I want to do with wood. 7. Which turners do you most admire? Those who brought turning initially into the public view: David Ellsworth, Dale Nish, and Ed Moulthrop. I admire Giles Gilson for his finishing techniques and Ron Gerton for his metal work. 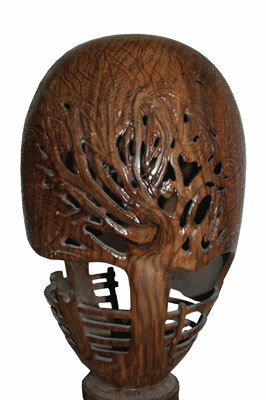 I also admire David Pye for his carving and machine lathe work. The modern turners I admire include Binh Pho, Frank Sudol, and Gary Rance. In the UK, the earlier turners such as Richard Raffan, Ray Key, Bert Marsh and CiarÃ¡n Forbes. Younger stars: Jimmy Clewes, Glenn Lucas, Mike Mahoney and Bill Luce. 8. What three pieces of equipment could you not do without? Firstly, my modern lathes with variable-speed and reverse-gearing give me the opportunity to experiment. 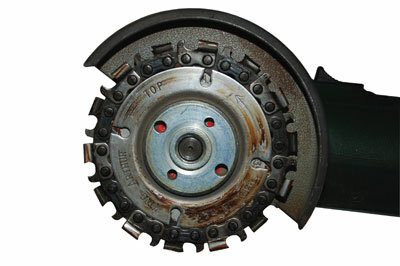 Secondly, my Arbortech, Lancelot, grinder, and other accessories for carving. And thirdly, my Oneida dust extractor, which removes dust at the source. Other dust extractors of similar capacity seem to be prohibitively expensive for the normal UK workshop. 9. Where do you see yourself heading in 3-5 years' time? I want to concentrate on smaller pieces. I will continue to be involved in the training and development of young turners. 10. What do you think the future holds for turning? Mixing media, attracting young people, and exchanging thoughts across continents will move us toward woodturning as an art form. 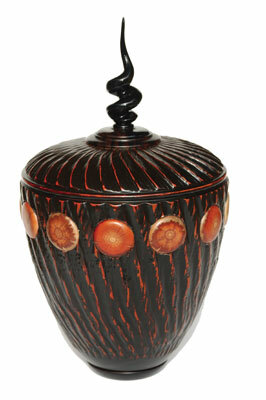 It will be high-class bowls, vessels, turned carvings, sculptures, wall hangings, or curios. We have to educate or woo the public to believe that it isn't just wood.